When my mom first suggested the idea of driving 24 hours (quite literally) to Yellowstone National Park, I wasn’t sure our little 8-month-old could make the trip. Well, she did, with flying colors…and a monkey hat. Well, I had to set her down somewhere to put the Moby Wrap on (for our hike), and this was just too cute! My advice to any mom driving an infant cross-county: drive at night. Boy did that help. It was difficult to organize, and there was a lot of daytime driving as well, but since the biggest push we made was during Ginny’s primary nighttime sleeping hours (8pm-7am), she wasn’t too fussy. My Moby Wrap helped a lot too. On a trip like this, I’d definitely recommend some sort of babywearing gear. I don’t know how I could have made any of the hikes work without it, especially with the difficulty that the elevation change added. Something we did have to contend with, that I didn’t expect, was a surge in eye goopiness. When Ginny was born, her left eye’s nasolacrimal duct (or tear duct) didn’t open. Apparently this is very common in infants, and can take anywhere from a week to a year to open on it’s own. When I called the nurse about it, she figured it would take 8 months. Well, I didn’t believe her, and I should have. I tried everything I could think of to speed up the process. I thought maybe it was allergies, so I switched all of our laundry detergent to Tide Free and Clear and washed everything I could think of that she might come in contact with. I tried special infant eye wipes. I tried massaging the duct. I tried eye drops. Anything I could think of…because this wasn’t fun. Ginny’s eye was regularly gooped up. Think of your own sleep buggers you wake up with occasionally…now multiply that times 3 and have it continue all day. 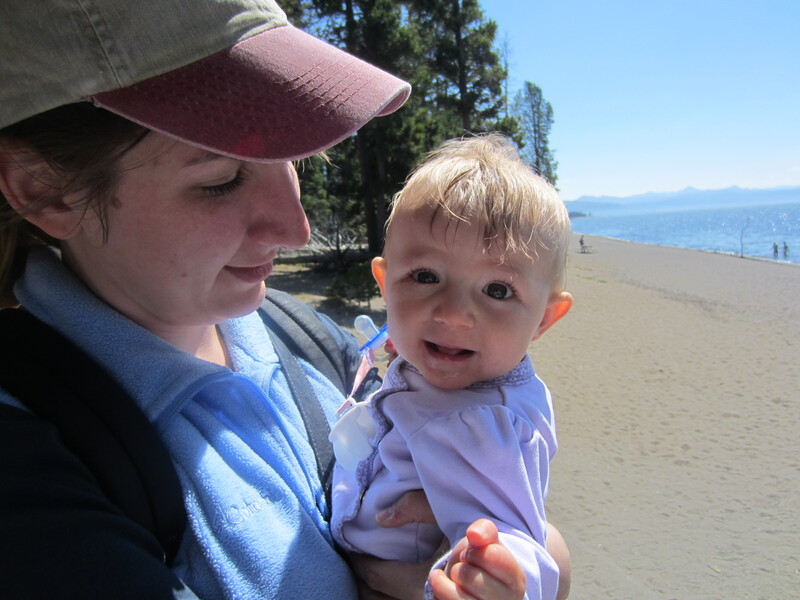 Our Hike at Yellowstone Lake…you can see the eye goopies that I couldn’t wipe off. And then, when we arrived in Yellowstone, it got worse. I’m not sure why, to be honest. Maybe the elevation change, or maybe it had to get worse before it could get better (I hate when that sort of thing happens). Either way, we were wiping down her poor eye constantly, especially for all the pictures. Though, the eye goop did manage to survive in a couple of photos, much to my chagrin. 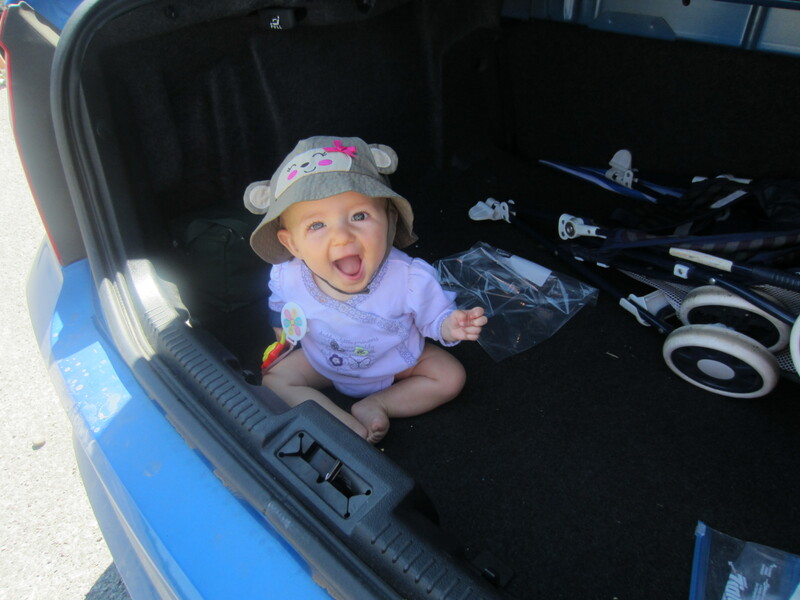 On our way home, literally the day before she became an 8-month-old, the eye duct opened. I should have just listened to the nurse. I did find a great article explaining this. Pediatric Views: Blocked Tear Ducts in Infants. If the duct doesn’t open on its own after a year, they can do a simple surgical procedure to open it up. Most of the time, that’s not necessary. So if you’ve got a baby who is going through the same thing, patience is your best tool…that and a warm wash cloth. And maybe a trip to Yellowstone. 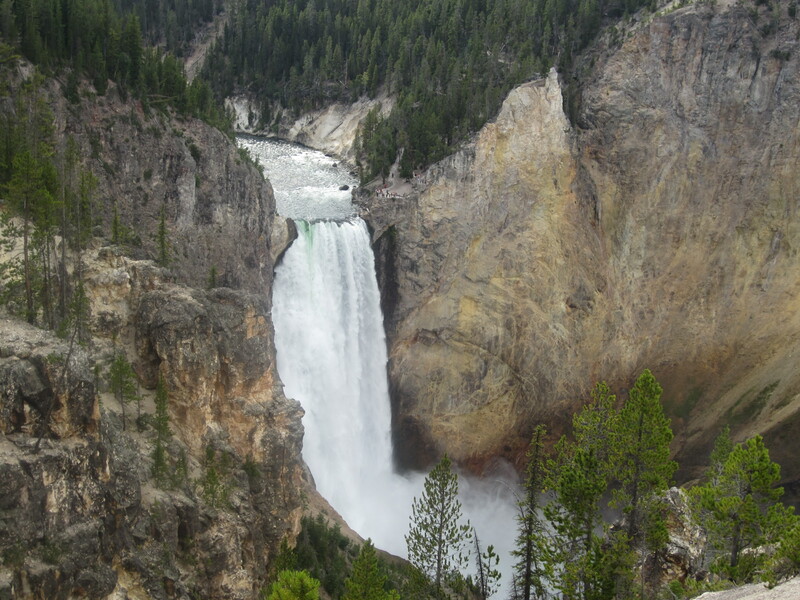 Our elevation when we took this picture at Yellowstone Canyon was very high…maybe that made a difference. Next Next post: The Forest Glen/Danville Reenactment is Almost Here!